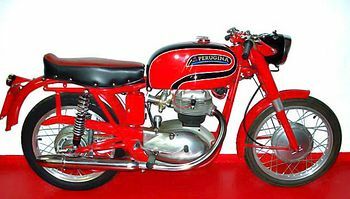 Perugina was based in Castel del Piano (Perugia) and founded in 1953 which built mopeds and motorcycles with a two-and four-stroke 160, 175 and 250 cc. The owner, Joseph Menicucci, began to produce motorcycles in 1930, with the first comapny Menicucci, BMP, and then, finally, with the name Perugina. The range was to include a Sportivissima with a 175 cc engine. The activity continued until the end of the sixties.